A Green Mushroom: White Mage to 50! I got my second class to the level cap in Final Fantasy XIV! I now have my Bard and also my White Mage at level 50! Healing has been really interesting because I've never played a healer in a MMO before. I suppose I've probably fooled around with some at very low levels but I've definitely never taken one to the level cap in any MMO. It's amazing how I'm basically playing a different game when I'm a healer. My job is to keep my party alive during crazy boss battles. That's often easier said than done. There's more pressure to perform than when I'm playing a DPS class, but less pressure than when Tanking. It's actually hitting a sweet spot for me. I can do tanking and DPS just fine but tanking is a bit too stressful to be fun. Now, when I'm running level 50 content I have options! I can change up my playstyle for whatever mood I'm in! It's also really nice to be able to help out members of my Free Company easier since I can now fill multiple roles. Not to mention one of the best parts of being a healer... super fast queue times! I barely ever have to wait for a group to form. Healers are in great demand! Where I would typically wait 15-45 minutes in the group finder as a DPS class now I generally find a group in less than 5 minutes. It's amazing. 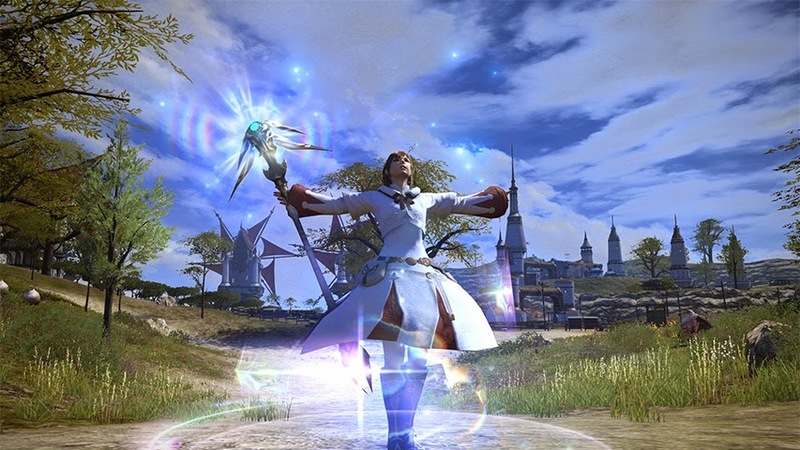 Getting another class to endgame was my second major goal in Final Fantasy XIV and now that I've finished it I truly feel ready for the expansion to launch in June. I'll probably slow down a bit while I wait for the expansion but I still plan on puttering around in game regularly. Did you finish all the story content up to 2.55 yet? You can't go into expansion areas until you do. It's Final Fantasy after all, story is their bread and butter. I've stayed caught up with the story on my main, which is Bard. I've been max level with the Bard job for awhile now. I love all the story stuff. I wasn't sure if I was going to actually enjoy leveling an alt class, but White Mage was super fun and now I have two classes at max level! Congratulations! Healing's a different beast for sure, and those fast (usually instant) queue times are yummy! Slap a hashtag on this and you have a solid selfie submission for the Screenshot Safari!